Absolutely stunning South and West Mountain views From this Barcelona Model that has just went on the market at ever popular Sunrise Country Club. One of the premium locations in the development. Less than block from the clubhouse. Sunsplashed pool and spa just steps away off of the back patio. 2 bedrooms 2 Baths, and a Den. Converted atrium. Completely remodeled just a few years ago. Vaulted ceiling, inside laundry room, dual glazed windows, lot's of recessed lighting, tile flooring except in the bedrooms. 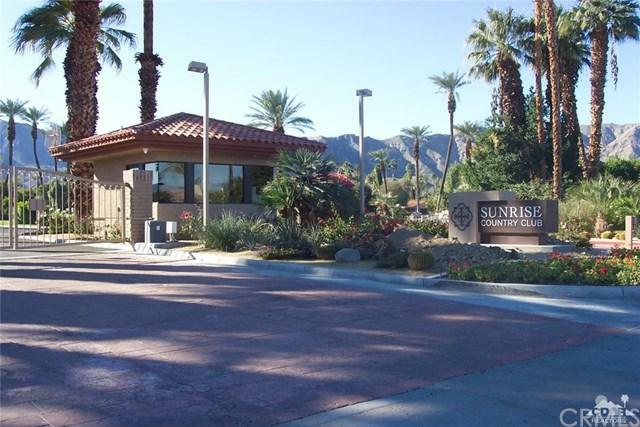 Sunrise is ideally located in the heart of Rancho Mirage, very near all the world class shopping, dinining, and entertainment the desert has to offer. Close to Eisenhower Medical Center and just 15 minutes from Palm Springs International Airport. Better hurry on this one! Sold by James Kelsch of Homesmart Professionals.